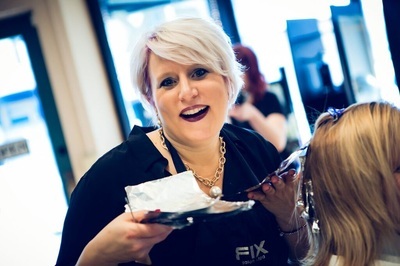 JULENE || STYLIST/OWNER || With nearly 30 years experience, Julene’s bright smile and blonde locks welcome salon guests through the doors of FIX. When Julene isn’t showing off her creativity with a great haircut or color, she is scouring the town for funky furniture finds or grabbing a bite with friends. ERICA || STYLIST || From simple styles to cool cuts, Erica makes you one of a kind! 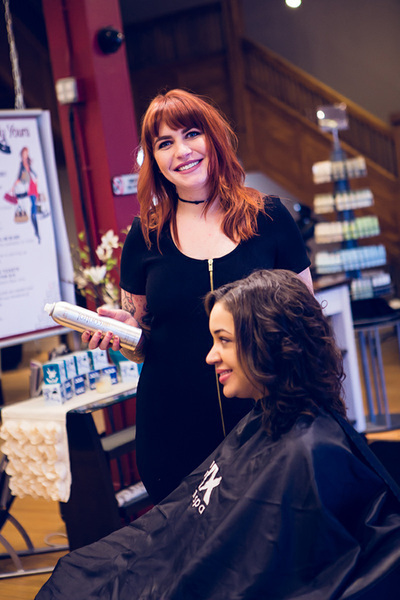 With nearly 10 years’ experience, Erica’s always finding new ways to help salon guests express themselves through their hairstyles. Outside of FIX, Erica enjoys spending with her son and leading a healthy lifestyle. ESTELLE || STYLIST || Where old school vibes meet new world style – that’s where you’ll find Estelle. 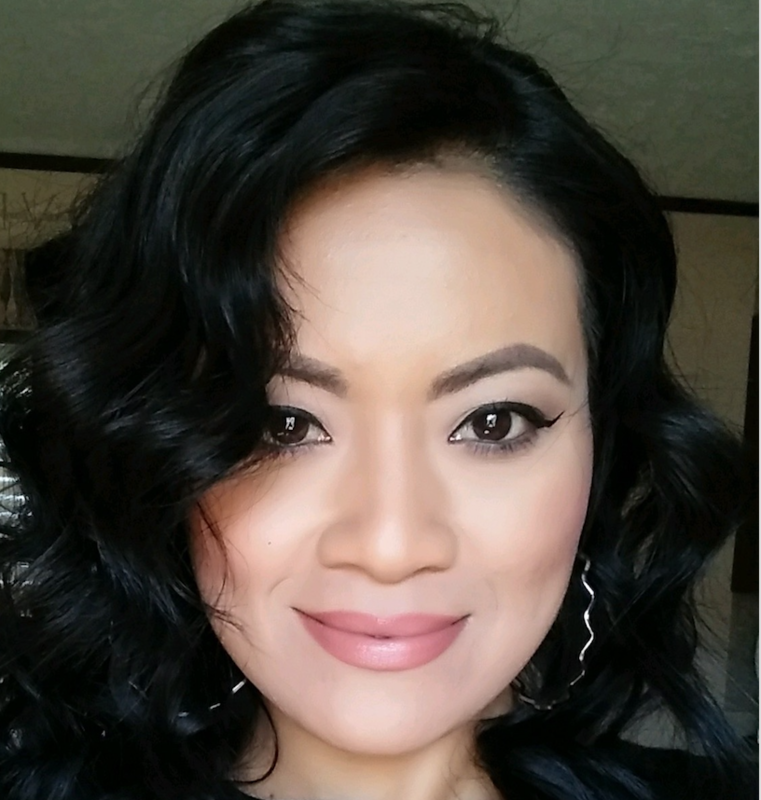 She has been creating beautiful hairstyles for over ten years and continues to brighten the lives of salon guests. Outside of designing timeless do’s or funky color, Estelle spends time with her family, digging into delicious dishes. 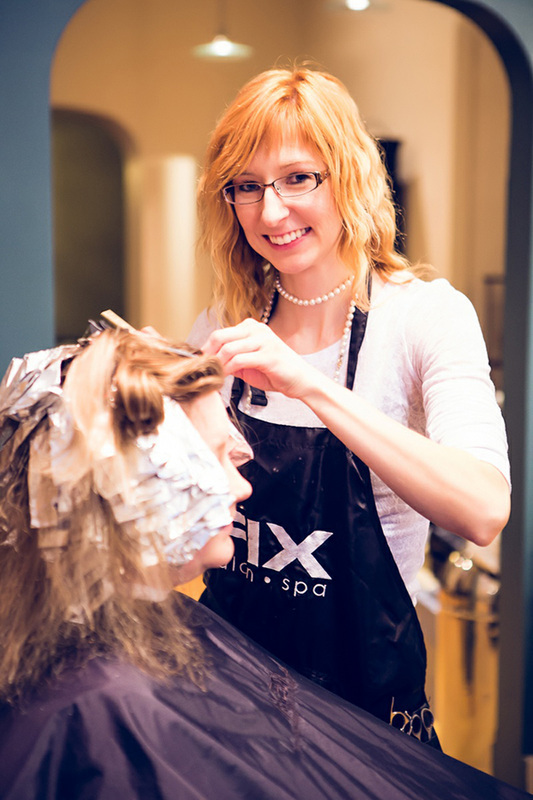 SABRINA || GUEST SERVICES || Sabrina is the conductor to our FIX orchestra, making the salon flow in perfect harmony. As our guest services coordinator, Sabrina’s the first face you’ll see when you walk through the doors. 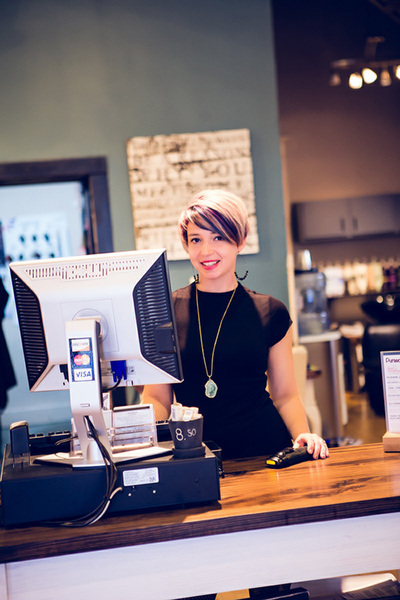 She will help you schedule your next visit and pick out the perfect Aveda products to take home. When she is not in the salon, Sabrina enjoys spending time with her family and the great outdoors. LIZZIE || STYLIST || With a zest for life and a love of spending time with friends, Lizzie brings her unique style to FIX. 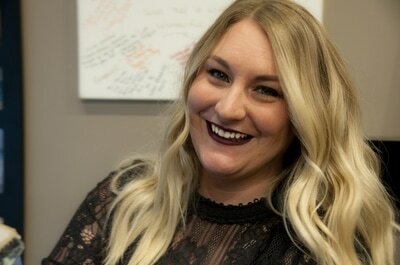 For over seven years, Lizzie has honed her skills as an Aveda stylist. DAKOTA || STYLIST || Find you flawless face with Dakota! While she loves taking the road less traveled and off the beaten path, Dakota's ability to stay the course when it comes to styling, and ability to pick up techniques quick have served her well since she's joined the industry - just two years ago. Come in and meet our farm girl gone hip! 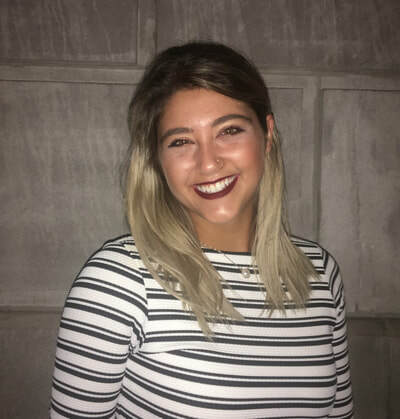 SOKPHAL || Stylist || Sokphal specializes in hair color - blonding, fashion colors and balayage. moved here from New Jersey and worked in 2 high end salons there. Coming from a Jersey resort town, Sokphal spent time doing bridal hair & makeup, and was featured in a magazine bridal spread! NIOBE // GUEST SERVICES // Niobe has joined FIX Salon as part of the front desk team! Niobe has lived in Elkhart for 8 years. She is excited to be part of FIX as she says it has a "family-like" feel and is a lot of fun to work here. Niobe enjoys working out and doing photography, with a niche' in senior portraits.